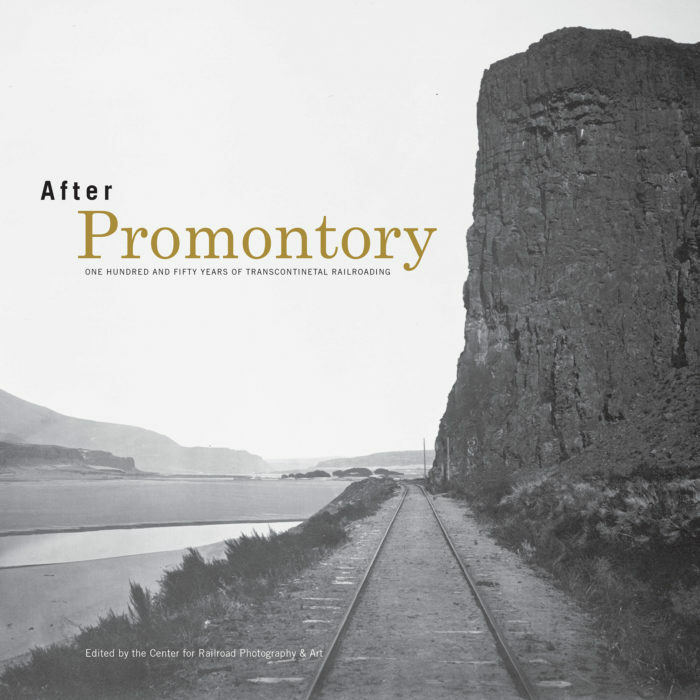 After Promontory: One Hundred Fifty Years of Transcontinental Railroading, edited by the Center and published by Indiana University Press in 2019, is part of a major project examining the histories and impacts of all of the nation’s transcontinental railroads. The 10×10-inch hardcover book features 19th-century photographs by some of the most ac­complished photographers in the nation’s history—artists such as William Henry Jackson, Timothy H. O’Sullivan, and Car­leton E. Watkins. Also included is recent photogra­phy from artists who explore the lasting impact the railroads have had on the landscape, both to the benefit and the costs of the region. At stake in all of these images, both period and more contemporary, is not only the railroad itself as a subject, but how photographers of different eras, with different motivations and different sensibilities, have thought of the transcontinental railroads and their legacies. Expanding on the visual themes in the companion exhibit, the book offers a deeper look at the circumstances, histories, and impacts of the railroads that came to connect the Midwest with the Pacific Coast. Essays by railroad historians Keith L. Bryant, H. Roger Grant, Don Hofsommer, and Maury Klein add context and depth to the book’s 240 photographs. Robert D. Krebs, who served in the executive offices of railroads in all three regions, including as chairman and CEO of the BNSF Railway, wrote the foreword. Photographer Drake Hokanson, in the book’s concluding essay, reflects on photographing the transcontinental railroads then and now, and what these images can teach us.